Resolute raises over C$20,000 for the Montreal Children’s Hospital Foundation! 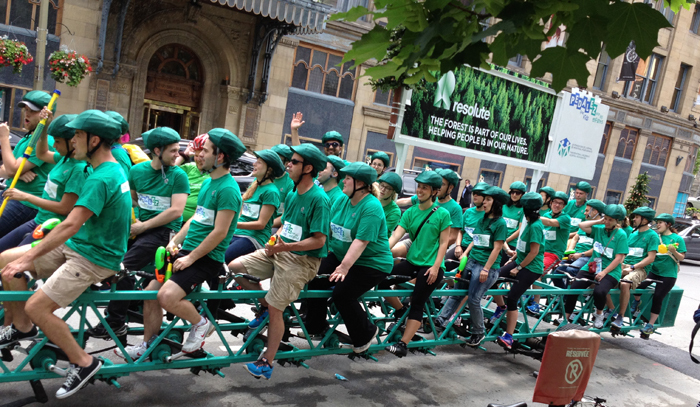 Pedal for Kids is one of the Montreal Children’s Hospital Foundation’s most important fundraisers. This exciting event has raised close to $10.5 million since 1992. The money is used to fund research that contributes to medical breakthroughs, purchase hospital equipment, provide professional training and improve the level of care all patients receive. For more information, check out this amazing video of Tristan, this year’s spokes child. Our team of mighty-bikers has been working hard over the past four months to collect donations from co-workers, family and friends for this great cause. We had bake sales, raffled off sports memorabilia and gift certificates from great restaurants, put small change boxes all over the office and even organized a happy hour to raise as much money as we possibly could. Now that we reached the finish line, it’s clear that our hard work has all paid off. We surpassed our donation goal of $15,000, bringing in over $20,000 as of our last count. Our team was excited to take a lap around the city this week and continue spreading the word about all the great work that the foundation does. Many thanks to all who participated, from the bike riders, and raffle ticket buyers to the supportive spectators lining Saint-Catherine street. 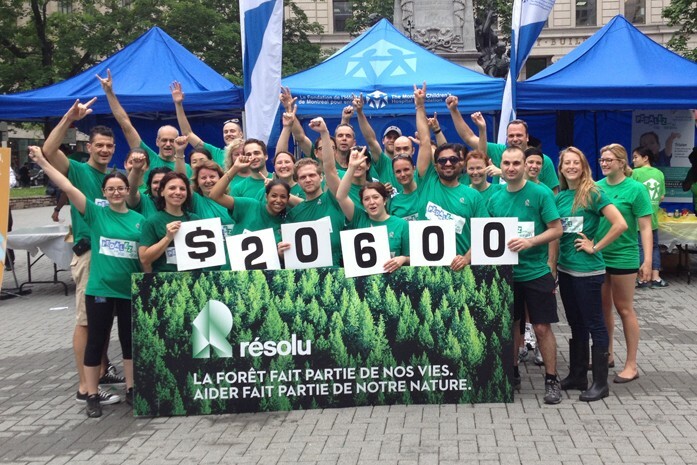 Donations are still being accepted until the end of the month, so visit Resolute’s Pedal for Kids page if you’d like to support our team and this amazing fundraiser for Montréal’s Children.